The pollution of groundwater through the alleged dumping of waste-oil by the Chunnakam Power Plant, a subsidiary of Walker and Sons and a contractor for the Ceylon Electricity Board, has been litigated for some years now. Issues were whether the water is really polluted, and if so by whom. Yesterday, Tuesday 30 May, the Mallakam Magistrate, A. Judeson, ordered the police to arrest the officials of the Power Plant responsible for this pollution and produce them in court on the next date of hearing, June 27. 1) Fresh drinking water be supplied to people living within a 2 km radius of the power station. 2) Since it is suspected that the polluting oil in the groundwater is moving northwards, officials in charge of the environment should have their attention drawn so as to facilitate suitable remedial action. 3) Complaints by the public should be examined by such environmental agency officials in collaboration with water supply and drainage and health officials. Following the Magistrate’s determination, a puzzled member of the public asked how the Expert Panel appointed by Northern Provincial Council concluded that there is no pollution. He also wondered why the NPC appointed experts with no expertise relevant to examining the purity of water. Moreover, one of the experts so appointed by the NPC, a Dean at University of Jaffna, has a conflict of interest in the task assigned since he had been a consultant to the power company. Besides, having no knowledge of analysing water, why did he accept the assignment? An Analytical Chemist, who had once been in charge of testing water served to visiting state dignitaries for potability, said that although the tests are simple, statistical and sampling errors are common and at least two independent labs must do the testing separately for rigorous confidence. Why did Walkers have to dump waste oil on the terrains when this company values this waste products to the extent of a precious by-product. Their foundries are fired with waste oil. Aren’t they aware of it.Anyhow, they had no excuse to dump, creating havoc in the ground water system. The NPC too should be held responsible for the delays in testing water wells in close proximityand their team of experts should be asked to show their findings to the public – how they came to the conclsion that ground water in the vicinity were not polluted. also wiggie must disclose any donations given by walkers to the NPC and TNA.Also any benefits received by NPC and TNA members from walkers or any of its affiliates. It good news for all those residents in Chunakam and adjoining areas who are faced with the pollution of their wells.The Magistrate has taken a bold decision in having the officials of the Power Station arrested for dumping waste oil to cause pollution. The news report indulges in a good deal of kite flying about the doubts in the mind of a member of the lay pubic and his puzzlement about the members of a Panel of Experts appointed by the NPC which is headed by CM Wiggy without any further investigation as to who it’s members and what was the terms of reference to it’s functions etc.,etc. .Next don’t be surprised if the Chunnakam magistrate gets his marching orders out of the NP or even worse. Why did Walkers ( a long established and well respected company) do this? Because its all about MONEY. !! For politicians, doctors, engineers, CEOs, teachers etc etc. its ONLY the money that matters. It is sad to note that they dumped the waste oil into some abandoned wells near the plant and when this got filled up they drilled and sent the waste to go further down. This has been reported in the IESL Northern Province conference initially conducted on this issue and this report could be found in the Researchgate article by Dr. Sivakumar Subramanium where many experts in this field participated. > Come on Kanaga! Do you have any proof that the waste oil was dumped into ABANDONED WELLS? Can you produce any reference to that effect? I thought they were a bit careless with waste oil and let it spill around, but if they could collect the waste oil they would have sold it!! Blatant lie I reckon. In that meeting one Mr. Sooriasegaram said there was an oil pool (NOT oil dumped in abandoned well) and a deep drilling was done to drain the oil. Proof? Mr. Sooriasegaram said a mason saw it and he conveyed it to a mason friend. People looked for the first-hand and the second-hand masons but could not find any. Can you please ask Mr. Sooriasegaram or Dr. Sivakumar Subramanium to substaiate this claim. You are happy to run with the made-up story, Kanaga? All Research Gate articles by Dr. Sivakumar Subramanium should be taken with a pinch of salt. They are like academics’ Facebook. MANY experts in THIS field? Can you name two, Kanaga? They have a Tamil report too in the same site. What I heard was that Vellala Sampanthan got millions of bribes to keep this matter under the carpet. If they were to be given police power as they asked, this atrocities wouldn’t have been exposed. This is another example of why devolution is bad for the North. We should convert the northern terrorists into Buddhists. So there wont be anymore fighting because we are all will be Buddhists. Why is there a shortage of terrorists in saffron robes in the south? If you were Buddhists you would not be fighting. Just because you call yourself a Buddhist does not make you a follower in those principals. Like you and your clan converted to Buddhism from Parangi Kalu suddho!! They also brought and spreaded all the disease like Venereal disease , Leprosy etc to your great great grand mums and aunts who were kept women to these Parangiese. NPC should be given police powers and sell weapons. they will not do anything except shooting at dalits or the other way arounnd. The Northern Provincial Council should take the total responsibility of polluting the groundwater in Chunnakkam.———- The Chief Minister Wigneswaran, who is busy in shouting shocking racial slur against Sinhalese on daily basis, has failed to see to the welfare of the residents. <<<<<<< As this new item reveals, if the NPC appointed a Consultant of the Power Plant as a member of the Expert Panel to analyse the purity of water, that means the NPC is working hand in glove with the Power Plant to continue their insensitivity to the lives of the people in the area.——– The "No Pollution Report" issued by the NPC appointed Expert Panel tells it all.—– The Chief Minister is a disgrace to the Tamil community. He should resign from his post. —– These Tamil Politicians have done nothing to the upliftment of people's lives in the North other than being separatists, racists and extremists. If anything was done in the North, it was done by Sinhalese Officials and Politicians. <<<<<<< Tamil Politicians only keep Tamils in the North as their hostages without letting them mingle with Sinhalese. The Tamil community is expected to be knuckled under to them. —– Therefore, the Court Order issued by Chunnakkam Magistrate is a historical lesson to the selfish Tamil Politicians in the North. Hey, Native Vedda and Old Codger, where are you?<<<<< Look what your Sambandhan Anna, Wiggie Anna, Sivalingam Anna, Sumanthiran Thambi and Vijayakala Thangachchi have done to your Tamil people?<<<<< Shame on you Native Vedda. Where is your voice? —— All of them and both of you have never shown a genuine concern about your people.<<<<< Hello, Mr. President and the Prime Minister, did you hear about this? —– Think seriously before introducing the new Federal Constitution. Man, how could they look after the entire Northern Province by themselves, without the help of the Central Government sans Concurrent List, if Sambandhan, Wigneshwaran, Sumanthiran, Vijayakala and Sivalingam can't even look after their WELLS. :D :D :D <<<<< All these Tamil Politicians are corrupted. —— Like Sinhalese, Tamils should also go for a New Political Order in their own community. I am very much here. I don’t like making vague accusations about environmental pollution. The modus operandi of many environmentalists is to point at the nearest smokestack/ garbage dump/ oil tank as the source of any ills. 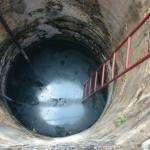 Is there good groundwater in Rathupaswela now? If not, why? Why is the media deathly quiet on the subject? I am NOT saying there is no pollution in Chunnakam. Just that there is not enough proof that the power plant is causing it. There is an equally large source of waste oil, which is automobile service stations. Old Codger—-There is nothing vague here. The Magistrate has given a verdict after carefully considering the issue. I don’t think you want to challenge it. Why did NPC appoint a person who is also a Consultant of the Power Plant to the Expert Panel? The flood is due to a natural cause, involving 15 Districts at the same time while Chunnakkam issue is a made-made small issue. I am not sure about the details but I think that this court case about the Chunnakam water has been going on for about two years now. Contaminating water is a crime even in NP. The police with the help of other authorities should investigate this alleged crime and then a judge decide on punishment and compensation. Apparently the judge has remanded 5 persons and that is a good sign. Is this judge maybe a new one? The actions and alleged conflict of interest and corruption of the NPC and the so called experts is another matter but obviously they are linked. What ever happened to the bribery investigation of the provincial minister for environment? Buried? Do you really think provincial magistrates have the analytical skills to give verdicts on chemical pollution? In that case we can all become cardiac surgeons by watching you-tube videos on the subject! The matter should have been handled by the Govt. analyst at least. As far as I can see, there is no evidence that the oil in the water supply is of the same composition as the power plant effluent. The article is full of vague statements ,as K. Pillai points out. “3) Complaints by the public should be examined by such environmental agency officials in collaboration with water supply and drainage and health officials.” What would these glorified plumbers of the Water Board know about it? It is true that a judge is a judge with limited skills in other fields. This is the reason the judges call for experts like the Government Analyst, JMOs and others for help. The police investigating also have limited skills. The system is like this in other countries also. He based his judgement on a chemical analysis report provided by the Water Supply and Drainage Board. But the rumour is that they used a wrong measure to imply/infer on pollution. Can I beg some real experts to write a good article to explain all these? All these Tamil Politicians are corrupt. They should not be elected to the Parliament again. Tamils should choose those who are willing to take care of their community and those who keep their feet on the ground while rejecting those who try to seperate them from Sinhalese for their own survival.——— The dillema of reconciliation can only be solved through harmonious cohabitation and increased collaboration. What Tamil politicians in the North doing is blocking Tamils from achieving these goals for selfish reasons. All these accusations against the NPC, Sampanthan , Wigi, the officials and the Occupying forces too comes under speculations , and suspicions. All were ignored and covered up by the President , PM, down to the officials in the North and water Board Officials and the scientists. This should be brought to light with the Human Rights Team, World Health Organisation, including the UNESCO. CHILDRENS LIVES HAD BEEN HARMED BY GIVING THEM ADULTERED POISONOUS WATER TO DRINK. Innocent lives had been Duped to drink Poison. This is SERIOUS MOST CERTAINLY. WHATS THE FUTURE OF THE INNOCENT VICTIMS , MEN, WOMEN CHILDREN AND THE UNBORN CHILDREN. GENOCIDE OF MASS POISONING OF HUMANS. Buddha land poisoning its inhabitantants??? Above statement is a lie. What the statement says is that laboratory results from our lab are not trust worthy and also the analytical chemist does not know analytical chemistry. He does not know his equipment, he does not know his methods. he does not know what he is doing and he does not how to interpret or what results he is getting. Definitely he should notbe in that position. What is a water engineer and what he knows about analytical chemistry. Just one labs results are enough if the lab is a GMP/GLP lab. Look at this report then! “……….. the Mallakam Magistrate, ………….ordered the police to arrest the officials of the Power Plant responsible for this pollution and produce them in court on the next date of hearing, June 27”. No need to be a lawyer, common-sense – who are these officials? The ordered “……Fresh drinking water be supplied to people living within a 2 km radius of the power station”. By whom? Police? The Magistrate goes on : “…… Since it is suspected that the polluting oil in the groundwater is moving northwards, officials in charge of the environment should have their attention drawn so as to facilitate suitable remedial action”. Who are these “environmental officials”? Then the magistrate goes on “……..Complaints by the public should be examined by such environmental agency officials in collaboration with water supply and drainage and health officials….”. We do not need pontifications Mallakam Magistrate! Is it Blind man’s buffs?? as usual? Barking up the wrong tree this Mallakam Judge? The same old story while the culprits are saved by the organisation the innocent ones gets punished. Same as the girl who was raped and killed , the real culprits are still walking freely. That’s the law of the Jungle, the Banana Republic of Srilanka! Good write- up. There are far too many vague accusations and unfounded suspicions here. What does a Magistrate know about chemical pollution? Most state agencies are totally incompetent, from the MET dept to the Police. Will arresting the power plant officials improve the water? What bunkum! The pollution started during the reign of the former Governor GA Chandrasiri. Any murmurs was dealt with by the white-van. Journalists/activists were pulped by the ……..you know who! Look at Appendix 1 of this report. The issue was raised in 2008 by the GA.
why doesn’t wiggie and sampanthan go there and drink the water and show there is nothing wrong with.Put their water where their mouth is. I know a good Budhist monk who is an analytical chemist and works for GMP/GLP lab. He should be consulted to resolve the issues. We need more monks to help develop the northern province. if he puts his hands all the time inside his robes and scratches his privates and his arse then the sample will get polluted. Is this the same monk who was caught examining a teenage girl in Mihintala? Jaffna peninsular faces two types of water problems – water in coastal areas becoming brackish tending to creep inland and pollution creeping outwards from Chunnakam. Increase in salinity is due to untrammeled draw-out of water for irrigation etc. This was brought to our attention by Willie D Joshua in CT 30 March 2016 titled “Bore-Wells & Salinity In Jaffna”. Way-out may be to harvest rain water by desilting ponds like Temple tanks etc. 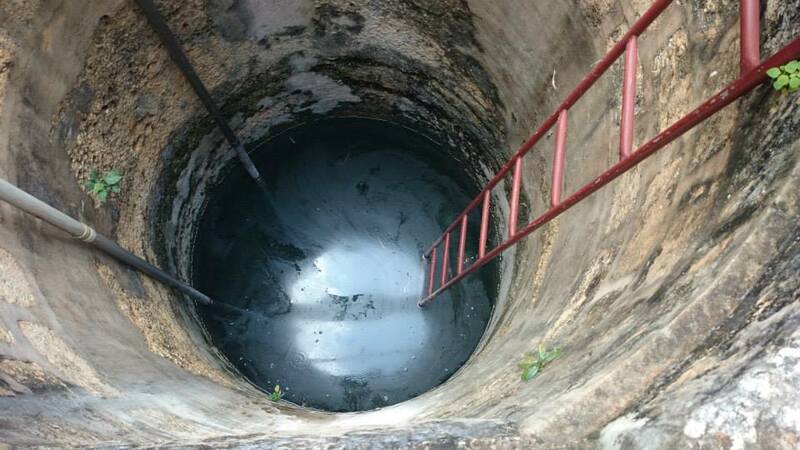 The item discussed in the present article is water pollution in Jaffna wells by unwise disposal of waste oils. This was again addressed by Murali Vallippuranathan in CT of 27 April 2015 titled “Science, Politics & Manipulations Of Water Pollution In Jaffna”. This is an exceptionally well researched article. The water pollution caused by Chunnakam Power Station waste is a slow version of Meethotamula garbage collapse. Northern Power Co. Ltd are the 30 MW Private Power Plant with a 15 year Power Purchase Agreement with CEB to provide electricity that has polluted the Well waters in Cunnakam area with waste oil being dumped into the ground. This purchase of electricity was asked to be stopped by the Then Minister of Power and Energy and the court sealed the power plant by end of Jan 2015. CEB continued to pay on average Rs 83 Million/month for several months as Capacity charges for this Heavy fuel operated Old Diesel power plant even after the court order to close and seal the power plant. This is seen on the documents with PUCSL on Charges paid in 2015 till June by CEB. This plant has been installed without proper EIA report or licence from the SLEA. As these were installed with used very old Plants they kept failing and they claimed to have had 24 MW as the capacity of the power plant so as to get the licence to operate from the Local EA. Every 3 months Northern EA officials have been renewing the licence without proper inspections. No records of the amount of wastes produced how they were stored and how they were disposed of were not maintained and monthly supplied to the North province EA office. Thank you for your whistle blowing. Unfortunately the information you provide makes sense. What is the local or provincial EA? Part of the provincial ministry for environment? Have any credible proof for ‘ waste oil being dumped into the ground’? Not hearsay!! Are you stating that malfunctioning plant and malfunctioning officials just filled the forms signed and sealed without proper regular inspection?? How pathetic can it be, are they all morons given jobs with clip boards , tick , every questionaire and laughed all the way to the bank with a fat bank balance. Swindle , swindle, swindle the nation and the people’s health.